June 17, 2010  British director Michael Winterbottom helms this adaptation of the notorious 1952 novel of the same name, which Stanley Kubrick once called "the most chilling and believable first-person story of a criminally warped mind I have ever encountered." Critic Scott Tobias says casting Casey Affleck as a serial-killer sheriff's deputy was a genius move. May 27, 2010  Zombie shaman George Romero is back with Survival of the Dead, in which a small Delaware island loses control of its undead population as two families fight over the best way to cope: try to save them, or put a bullet in their rotting heads? May 20, 2010  Solitary Man tells the seductive story of a ruined rascal's redemption as Ben Kalmen (Michael Douglas) slowly discovers that the main thing standing between him and a career comeback is his libido. May 6, 2010  It's the swinging '60s, and Paris needs to neutralize a blackmailing Nazi in Rio de Janeiro. 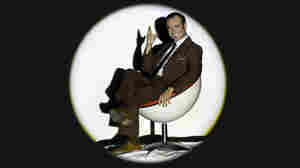 There's only one man for the job: Hubert Bonisseur de la Bath (Jean Dujardin), aka OSS 117. Think of him as France's answer to James Bond -- and Maxwell Smart. 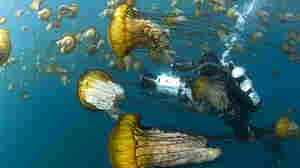 April 21, 2010  In honor of Earth Day, Disney's newest nature doc takes a look at the briny deep. Oceans is more art than science, but that doesn't make it any less enjoyable for grownups and kids alike. April 8, 2010  In The Square, two lovers plan a robbery and arson scheme that escalates into murder. Critic Scott Tobias says Australian directors Nash and Joel Edgerton take a fresh spin on a classic premise. March 18, 2010  Jeff Kinney's wildly popular Diary of a Wimpy Kid novels capture the hilarity and angst of kid life through the eyes of one amiably clueless 11-year-old. The film version, says critic Scott Tobias, is a noisy pileup of humiliating slapstick — and its protagonist's more endearing traits get lost in the translation. February 11, 2010  Chris Columbus directs a young-adult fantasy about an angsty teen who learns he's the son of Poseidon — and finds himself caught up in a conflict among the gods. 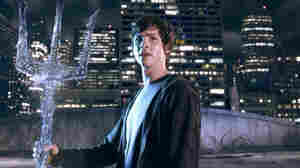 Special effects and a modern spin on mythology it's got, but Harry Potter it is not. 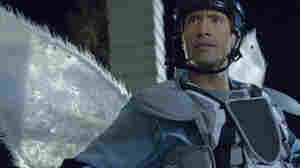 January 21, 2010  Dwayne Johnson stars in a family comedy about a rough-and-tumble hockey player who incurs the wrath of the immortals when he tells a 6-year-old there's no such thing as the Tooth Fairy. The penalty? For two weeks, he must walk a mile in fairy shoes — plus tights and a tutu. And for an hour and a half, parents will just have to suffer through it. January 8, 2010  Australian filmmakers Michael and Peter Spierig offer up an apocalyptic scenario in a future Earth dominated by a 90 percent vampire population. And it's no Utopia: The energy crisis persists, and with humans in short supply, the bloodsuckers are looking at an unsustainable future.